In this video I go through the motion of soldering the Cuttle. I must warn you, that this is not a soldering tutorial video or in anyway the best example for soldering. The intention of this video was more for me to test Blender as a video editor. So with that in mind, the idea behind this this video was more for me to try something new with the video style and to provide entertainment. 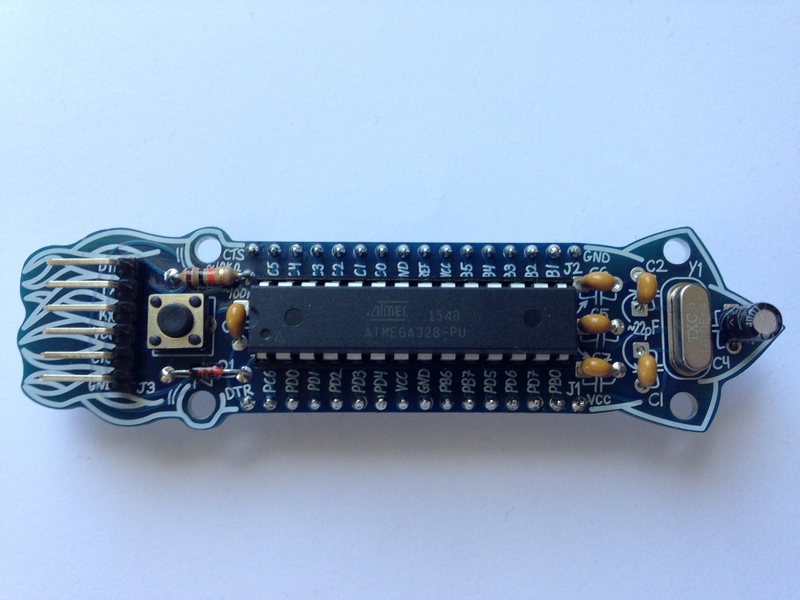 The Cuttle is @boldport Club project number 6. This is in many ways just another barebone Arduino clone. But what make this kit standard out or better said, what makes any of the Boldport club kits standout is the challenge factor. Every single one has something interesting for you to learn, experience or be challenge by. For example, if you ever wanted to see what it takes to make AVR chip work then this kit is a great example. However, there’s one thing you need to know that is worth mention before you decide to buy one of boldport kits and that is in true boldport tradition, this kit has the minimum amount instruction. hence the challenge aspect of the project. In fact the PCB and the component is all that you need to know how to put this kit together. This is in fact is done on purpose because this kits aren’t meant for beginners but instead are aim for some who know the way around a soldering iron and has some basic electronics. So overall this was a fun kit to put together which I’m more than happy to recommend to other looking for a quick kit to build. but to be honest, I have plenty of development boards laying around lab for me to chose from and so there’s a good chance that I won’t be using this Cuttle unless I have a project that specifically needs that board. I have been playing with the idea of making animatronics cuttlefish that drive by the cuttle board. But I don’t think I have enough time to do it or enough youtube subscribers to warrant the resource. Until Next time (or kit)!